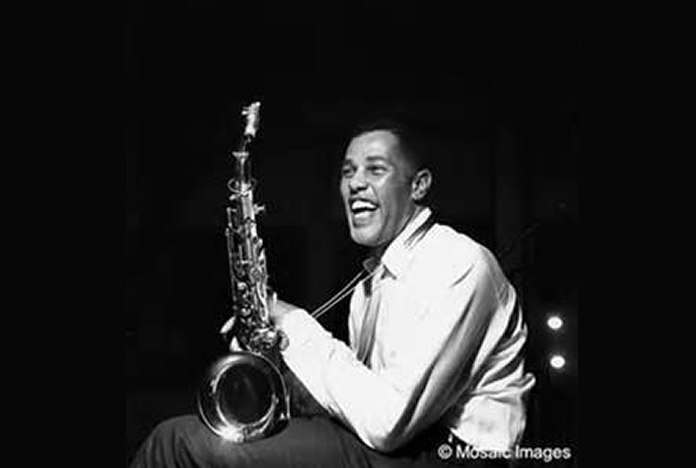 Left Picture: Dexter Gordon…tour de force for a non-actor. I saw Round Midnight (Bertrand Tavernier,1986) about 30 years ago and was impressed at its dark moodiness and the way it presented jazz and its musicians in an honest and non-romantic fashion. As a teenager in the post-war years I had seen Hollywood give us alleged bio-pics of Glenn Miller and Benny Goodman which, although entertaining to a jazz-hungry youth, bore little relationship to the harsh truth about the evolution of the music, the struggle to be accepted as a legitimate art form and the prejudice against black players. The two films we cover here (Bird follows down page) are still considered by many to be the best movies about jazz ever and have yet to be surpassed. To be honest there hasn’t been much competition. A bunch of worthy and arty non-mainstream films have surfaced but the two efforts to hit our screens in 2016 have failed to impress (see “Jazz in the cinema now” on another page). Director Bertrand Tavernier had to fight the studio hard to put a non-actor and jazz musician, Dexter Gordon, into the title role. The big man portrays Dale Turner, a tenor sax player who has battled with drugs and alcohol addiction all his life. He has often renounced those temptations only sooner or later to fall off the wagon with a resounding thump. Fortunately for us, M Tavernier’s fight was won and Dale/Dexter puts in a towering performance which in all honesty carries the whole shebang. His character is based on the experiences of Bud Powell and Lester Young although from a modern perspective, tenor sax man Ben Webster more readily comes to mind: an amiable, lumbering bear who played like an angel and drank like a fish. The plot is flimsy; a US jazz musician with a faltering US career in 1959, tries his luck in Paris where he is carefully watched over by minders to ensure he doesn’t go back on the sauce. A cast of top musicians includes Herbie Hancock, Bobby Hutcherson, Billy Higgins and John McLaughlin. A few are given screen names and characterisations but aren’t asked to do much else than be themselves and play brilliantly like themselves too. 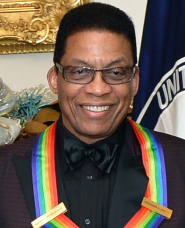 Left Picture: Herbie Hancock…an Oscar for the film score. We are treated to some superb musical performances (mainly done live and spontaneously) in the Paris club where Dale/Dexter is resident. Herbie Hancock’ s haunting background themes contribute greatly to the atmosphere. Dale/Dexter is befriended by a young Frenchman who worships him and eventually makes him one of his own family; despite all the cravings and mental problems, the sax man stays on the straight and narrow before he eventually returns to New York. There are some minor sub-plots lurking around but with Dale/Dexter’s overpowering presence and the host of top musicians, the movie captures perfectly the mood of the time and the angst and surprise of a black musician, neglected in his own country but respected and loved as an artist in Europe. The two overwhelming stars of this brilliant film are Dexter Gordon and the music itself. Dexter deservedly got a best actor Academy Award nomination and Herbie Hancock controversially won the Oscar for best music score in 1986. Left Picture: Director Clint Eastwood…his eulogy to “Bird”. Clint Eastwood has much to be proud of in his long and admirable career as an actor and director but I would hazard a guess that his eulogy for Charlie Parker (Bird, 1988) is top or near to his own favourite. Well-known as a jazz lover, it must have been fulfilling for Clint to create a cinematic eulogy to one of the handful of geniuses who created superbly beautiful music and influenced so many others, not always in a healthy way. My last remark also refers to the fact that so many musicians regarded heroin as a path to playing like Bird, some to a tragic and sad conclusion. Lennie Niehaus who organised all the score for the film went to great lengths to create the authentic sound of Bird’s alto saxophone, to the extent of separating his solos from early and patchy recordings and adding a studio rhythm section. It was well worth the effort. Within a couple of minutes from the kick-off we are hit bang between the eyes and ears with Bird in full flight on a breakneck Lester Leaps In, the nearest now we could ever come to hearing him in person. I remembered the film as being dark in all senses of the word. Many scenes are in night-time rooms or clubs, often with rain lashing down and the background rumble of thunder. The director doesn’t rush and the pace is slow, often almost still, during the two-and-a-half hours. Forest Whitaker plays Bird convincingly as a tubby mass of contradictions; frankly as a human being he is a mess - an alcoholic, heroin-addicted, selfish and indefatigable womaniser who has the good fortune to be loved by his long-suffering wife, Chan. Despite the adulation of fellow musicians and audiences (gradually), we are reminded several times of his teenage rejection when at a kind of kangaroo court audition, the drummer throws a cymbal at his feet to tell him to get the hell off. The movie tracks Bird through his erratic career, the unending search for drug scores and the desperate efforts to finance the habit and provide for Chan and his kids. In between all the chaos, of course, Bird happened to create some of the most beautiful and influential music of the 20th century and that’s why he will be remembered. 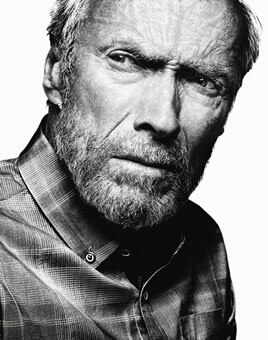 Clint does alleviate the sombre canvas with a few humorous cameos; a tour of the still-segregated south with white trumpeter Red Rodney disguised as blues singer, Albino Red, and a Jewish wedding gig with Bird and the black band fooling about in yarmulkes and slipping a little bebop into the traditional airs. 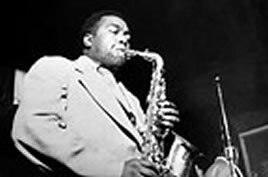 Left Picture: Charlie Parker - troubled musical genius. Bird died at the age of 34 in the apartment of the legendary baroness Nica who helped and encouraged so many black artists. It was 1954 and as is widely known, we see a doctor called to his deathbed put his age at 65. His medical cause of death was “heart attack” but maybe a layman could say “everything”. I have to wonder what this film would mean to a non-jazz inclined punter. Boredom and bafflement might be the answer but to anyone who loves the music the film is essential viewing. It is not an easy story to watch at times but an essential record of jazz history. Along with Round Midnight, I give it a joint gold medal. Will there be later efforts to contend with those two works of art? I doubt it.